Our sources have confirmed that the much-awaited Suzuki Gixxer 250 will be launched sometime around June this year. Leaked patent images show the new Suzuki Gixxer 250 will get a 250cc 4-valve, single-cylinder, oil-cooled SOHC engine. The engine is likely to be fuel-injected and produce between 22PS to 24PS of power. Transmission duties are expected to be handled by a 6-speed unit. In terms of underpinnings, the new bike will get a reworked version of the smaller Gixxer’s frame that will be suspended on telescopic forks at the front and a monoshock at the rear. Both wheels will get disc brakes while single-channel ABS is expected to be standard as well. The new Suzuki Gixxer 250 is likely to be priced between Rs 1.3 lakh to Rs 1.4 lakh (ex-showroom) and will compete with the Yamaha FZ 25, which is currently India’s most affordable 250cc motorcycle. Suzuki Gixxer 250 ABS gives a mileage of 30 Kmpl as claimed by the Automotive Research Association of India (ARAI). Q. In which month Suzuki GSX R 150 is going to be launched? A. There is no update from the brand side for its launch in India. The Suzuki Gixxer 250 borrows its nomenclature design cues from all of its renowned elder siblings, with its aggressive stance and looks. 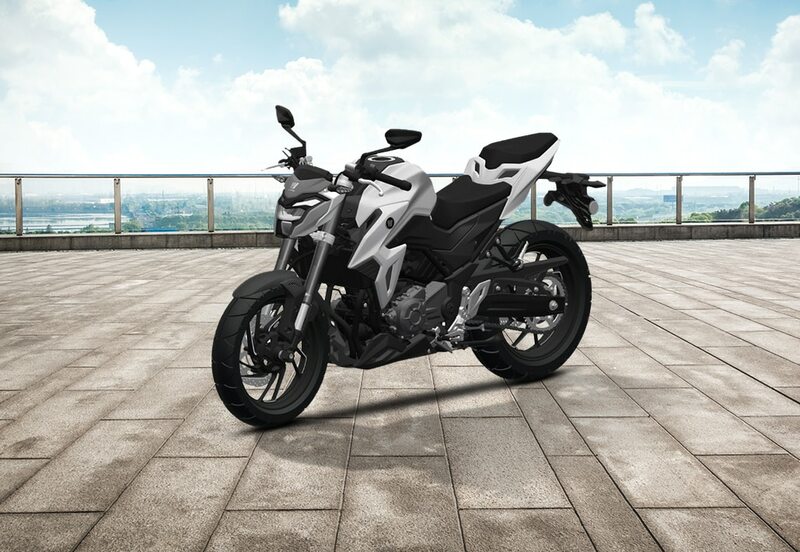 However, the engine is not as aggressive as other GSXRs, as it is the same 248cc engine from the Inazuma, which makes 25PS of power and 23.3Nm of torque. The bike, courtesy its suspensions setup of telescopic front forks and single mono-shock and revised geometry, handles pretty well. The bike is equipped with disc brakes at both the ends and weighs 178 kgs. Suzuki is yet to introduce the Gixxer 250 to the Indian market, and after the departure of the Inazuma 250, the Gixxer 250 makes great sense for filling its gap, given the love Indians have for the big faired super-sport motorcycles. If Suzuki intends to launch the Gixxer 250 in near future, the motorcycle will be here in India only in the ABS variant, which will see an expected price of Rs 3lakh (Ex-showroom, Delhi), making it a bit pricey. Internationally, the Gixxer 250 is being offered in three different colour options – Pearl Glacier White, Pearl Nebular Black and MotoGP Blue, all of which are expected to be in India as well. The Suzuki Gixxer 250 is a parallel twin quarter-liter motorcycle, which means that it doesn’t have a direct competitor in India, given that all the Japanese peers of Suzuki have moved their game up in the 300cc category. Though, when the overall performance configurations and pricing are compared, the Gixxer 250 feels like a direct rival to the TVS Apache RR310, which though having a single cylinder engine, feels equally powerful and refined as the Gixxer 250. Adding to it, the Apache has a more aggressive stance, long list of features and equipment and better hardware in comparison as well. The Suzuki Gixxer 250 fits the bill of being a typical Suzuki super-sport perfectly, given the stance and silhouette it carries, which are reminiscent of the bigger Suzuki super-sports which we have been seeing in all these years. At the front, the Suzuki Gixxer 250 carries the same wing shaped front headlamp assembly encased within the sloping and aerodynamically styled front full fairing, as we have seen on the GSX 650R. The headlamp assembly comprises of the main headlamp which is flanked here by two small LED strips at its upper corners. This frontal face of the motorcycle makes it look wide and bigger than what it actually is. It does get a set of all new fairing mounted angular rear view mirrors as well, which is different from what we have seen on other Suzuki super-sports. The Suzuki Gixxer 250 carries its super-sport stance from the side as well, and the blackened side panel sandwiched between the fuel tank and the side fairing panel is similar to what we have seen GSX-S1000F, thus giving the motorcycle a unique flair when viewed sideways. The lifted up rear tail section as well as single long exhaust pipe are rather styled conventionally and could have styled a bit better. The rear stance of the Suzuki Gixxer 250 is inspired a lot from the all-new generation model of the GSX R1000, with a sleek and small LED tail lamp nested in the midst of the lifted-up tail section. Unlike the all-new generation super-sports, the rear fender of the Gixxer 250 is long but pointy. The turn indicators on this motorcycle are clear lens blinkers, though they look dated and could have been LEDs as well. In terms of features, the Suzuki Gixxer 250 pampers you with some modern essentials like fully digital instrument console lifted off from the 150cc Gixxer, front LED pilot lamps, rear LED tail lamp, clip-on handlebars and disc brakes at both the ends. The instrument console is fully digital and hosts a long list of information, such as speedometer, odometer, two trip meters, tachometer, fuel gauge, clock and gear indicator, along with an array of tell tale lights. Along with the engine, the Gixxer 250 also retains some other mechanical parts from the Inazuma, such as the frame as well as the suspension combination of telescopic forks at the front and an adjustable monoshock at the rear. However, as expected, the riding posture has seen a wave of difference – you do sit a bit more aggressively with the rear-set foot pegs, and the suspension here are set on a stiffer side, in order to make it feel more agile as well as sure-footed around corners. Yes, the bike does weigh 178kg, but then, the weight has been intelligently distributed to suit its supersport characteristics. The Gixxer 250 does run on 17-inch wheels shod with tubeless tyres, again like many other supersports, whereas the motorcycle has got 290mm disc at the front and a 240mm disc at the rear for halting duties. Suzuki is also providing an option of a dual channel ABS for the GIXXER 250, and in this particular variant, the braking feels even more enhanced.